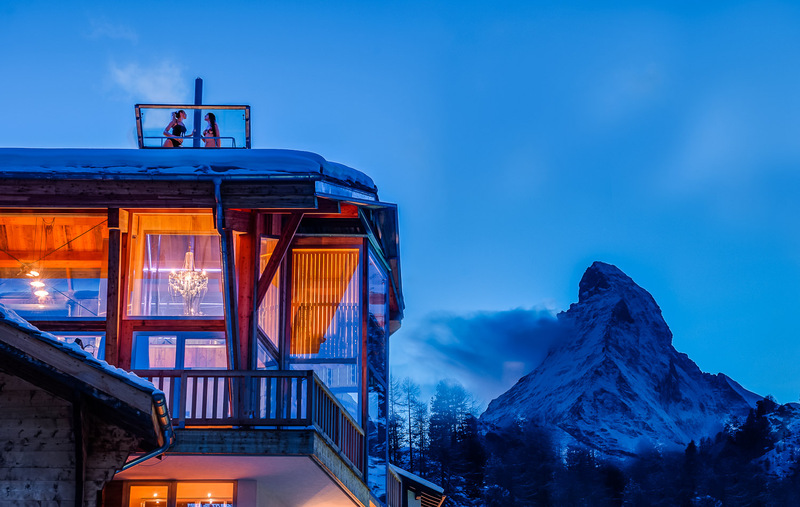 Spectacular Matterhorn views are framed by traditionally inspired architecture. 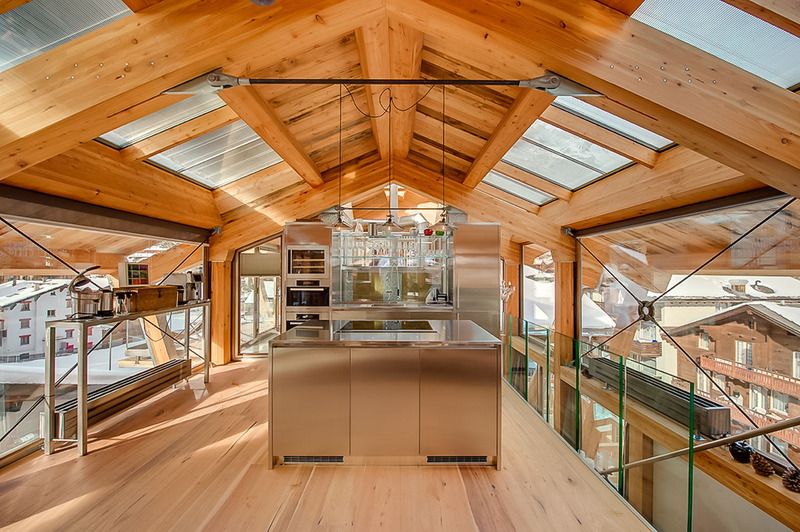 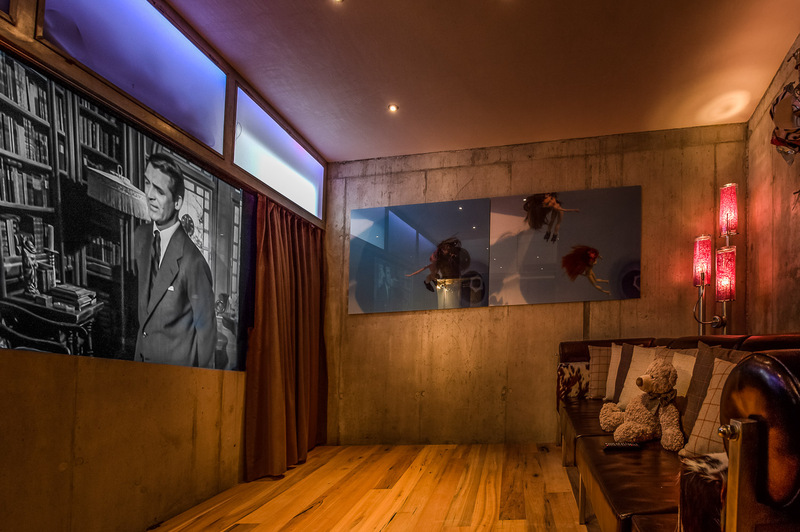 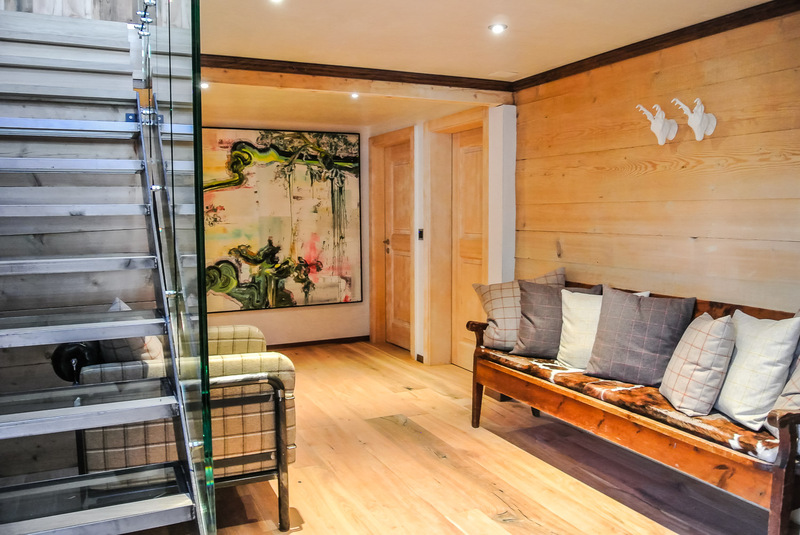 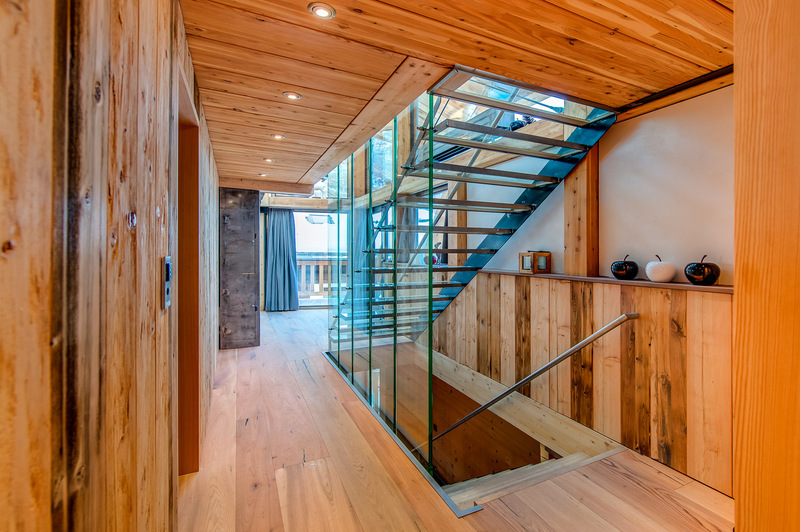 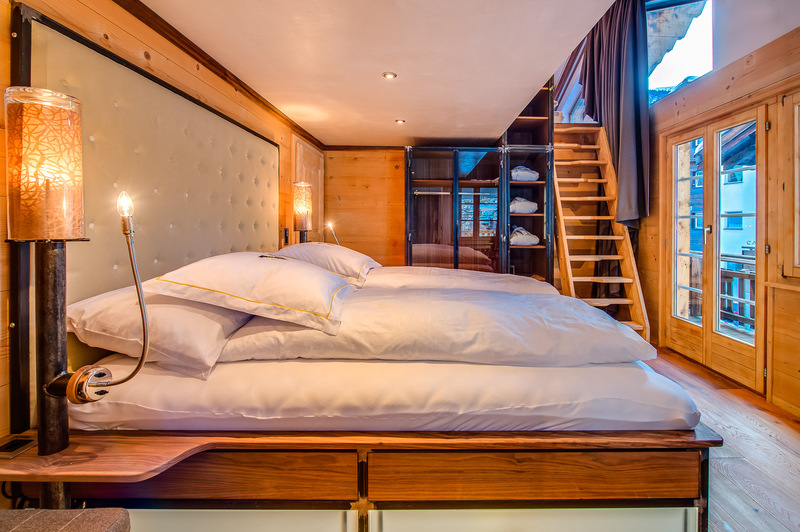 Based on a 1940s Valais house, this Zermatt vacation rental has been expanded with a contemporary addition to comprise bright, open living spaces and five bedrooms. 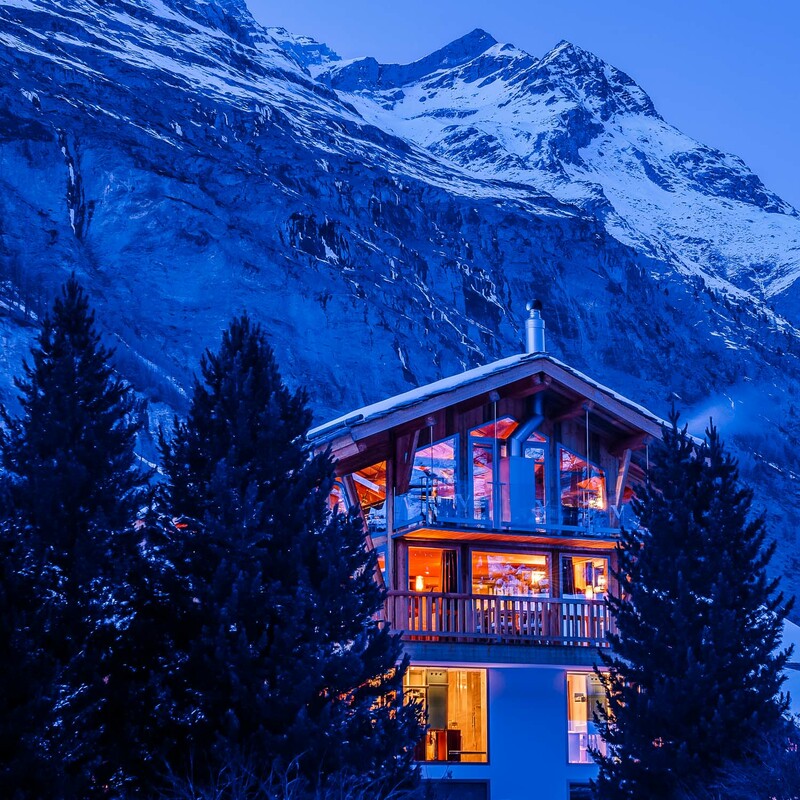 Invite up to ten friends or family members for a postcard-perfect ski holiday in the Swiss Alps. 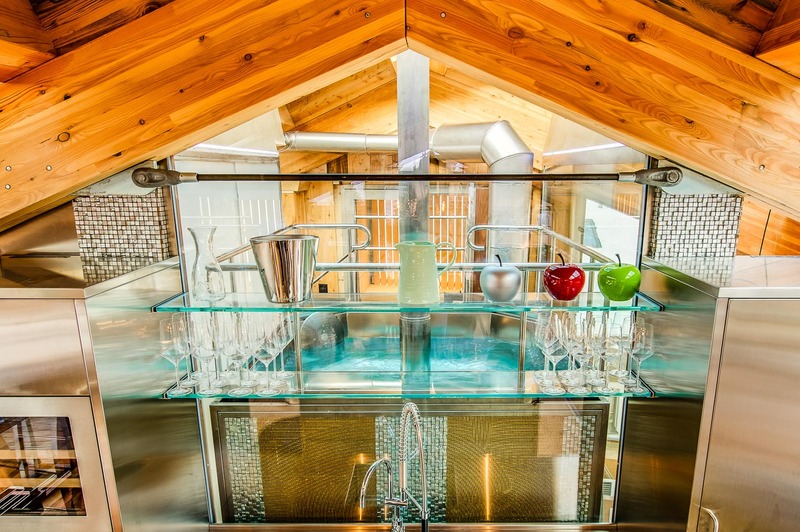 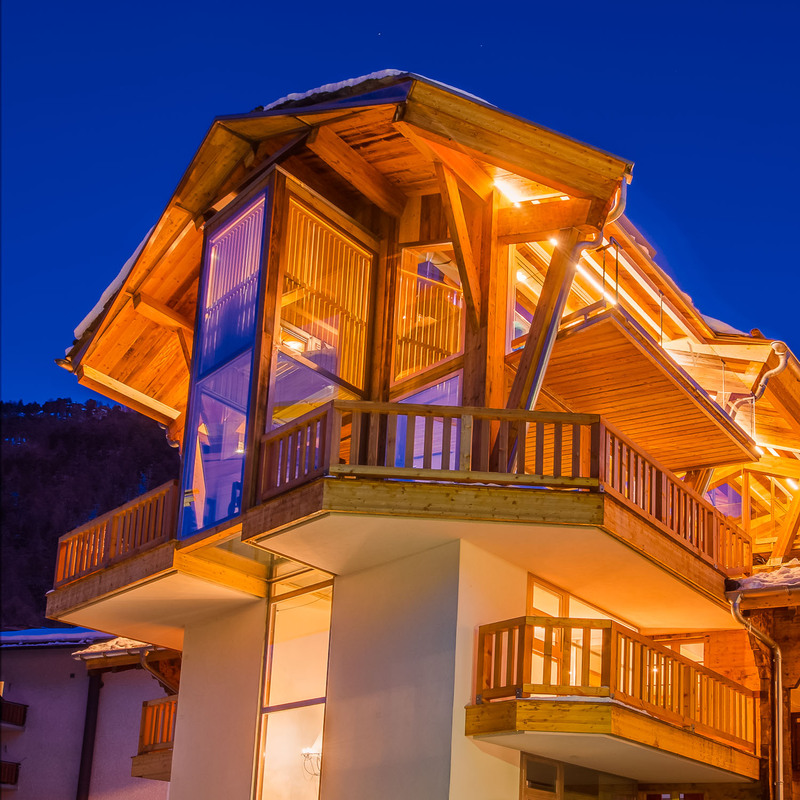 The chalet is available on a self-catered or fully catered basis. 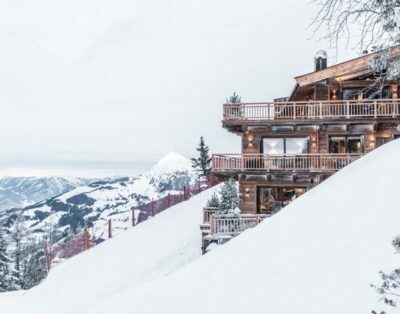 Even a self-catered stay includes shuttle service to the property and welcome champagne; a fully catered stay adds perks such as Michelin-starred chef service, lift-pass delivery and a daily afternoon tea. 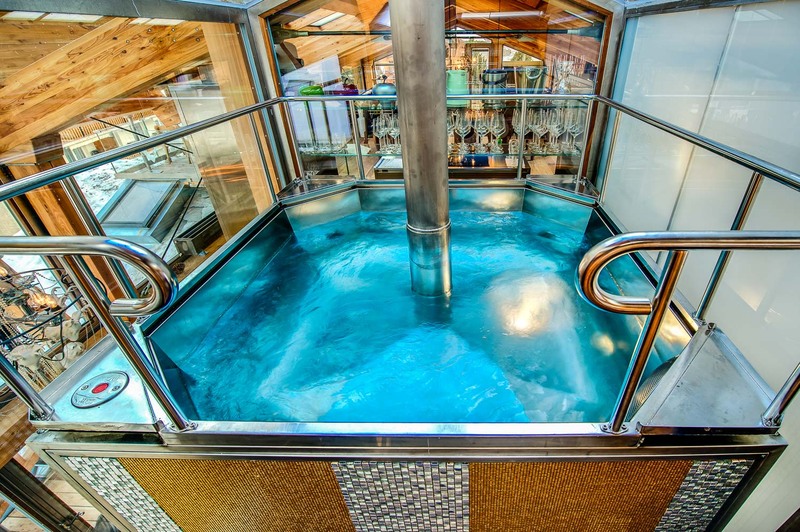 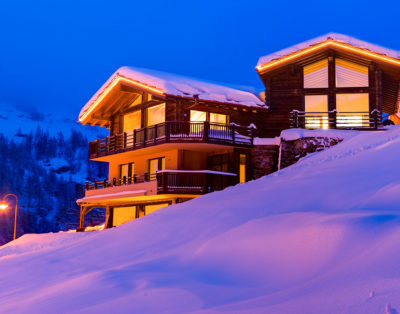 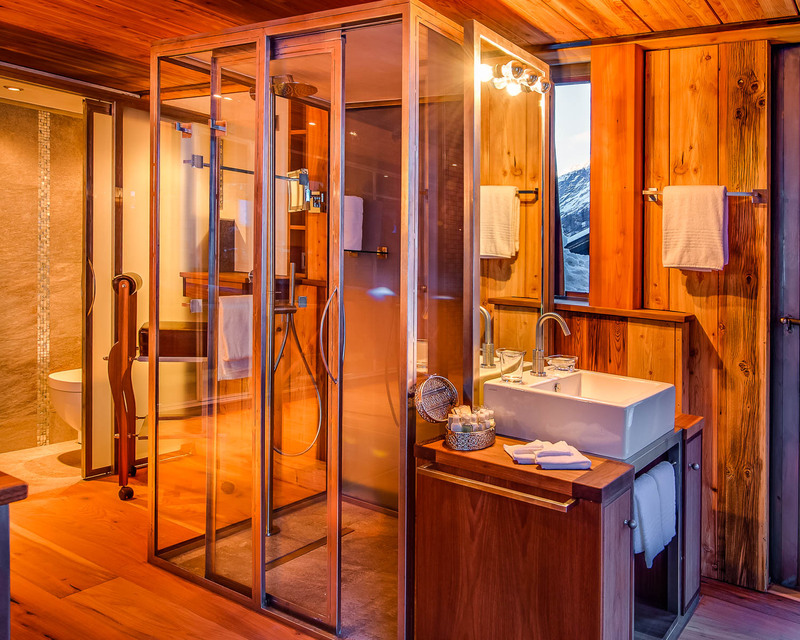 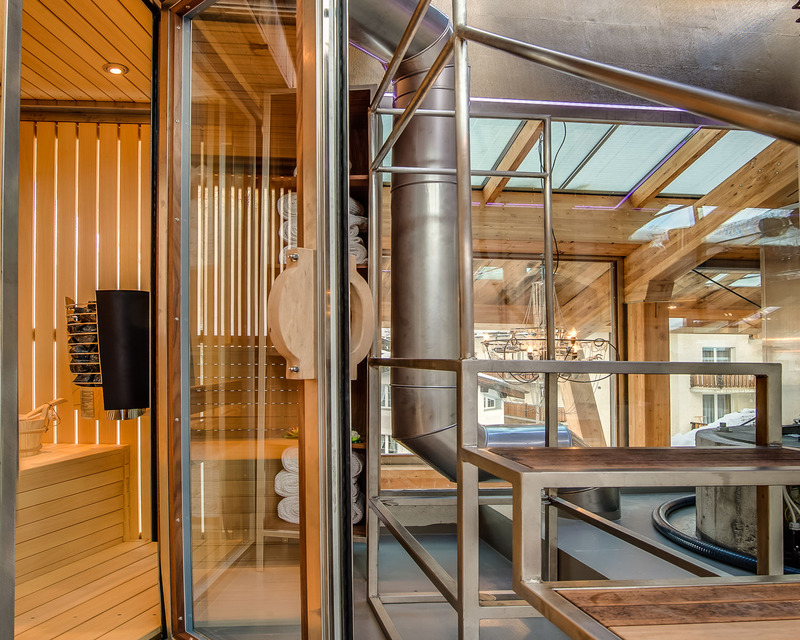 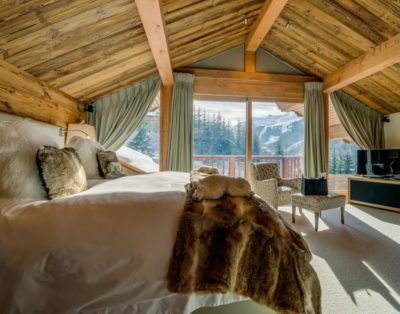 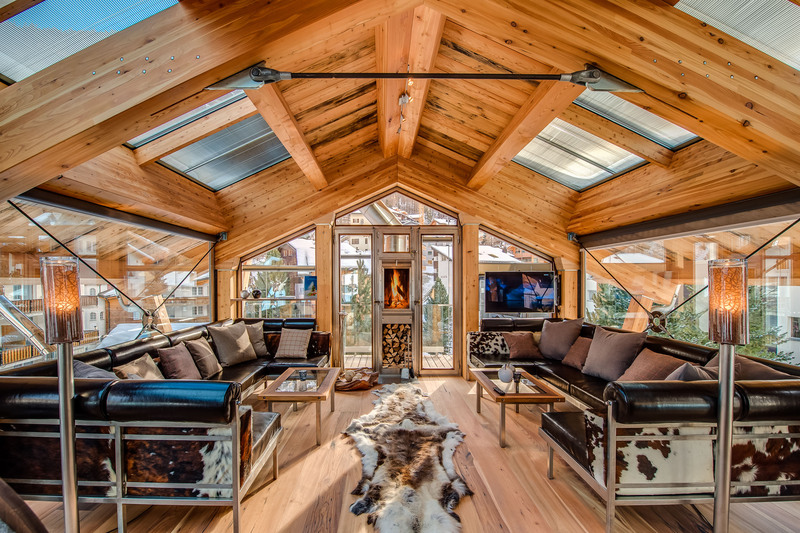 After a day out in the mountains, leave gear in the ski room, stretch out in the exercise room, unwind in the sauna or media room, or slip into the hot tub on the private terrace for a honeymoon-style soak under the stars. 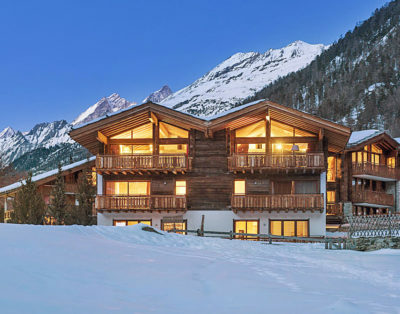 Its masterfully blends the traditional with the modern, with its combination of peaked roof, wood-paneled ceilings and walls of windows looking out on the village and the Matterhorn. 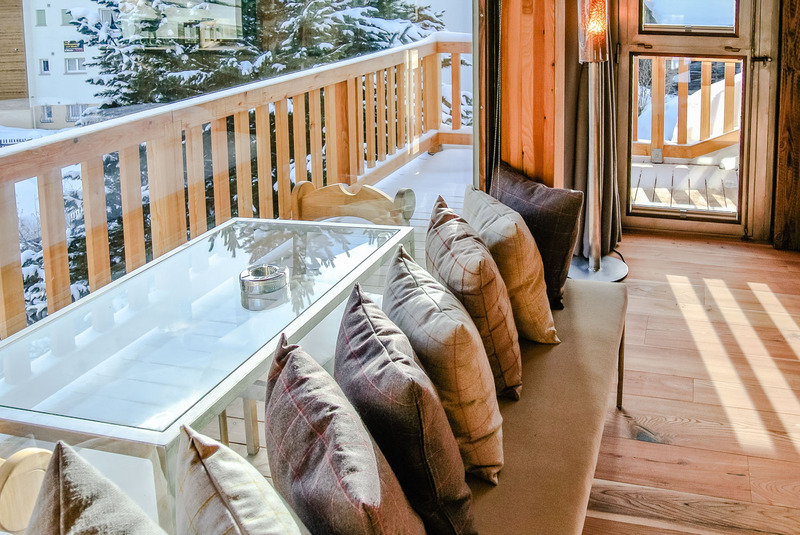 The main living area on the top floor is a beautifully bright open-concept space with a sitting area, dining table for twelve and a fully equipped kitchen. 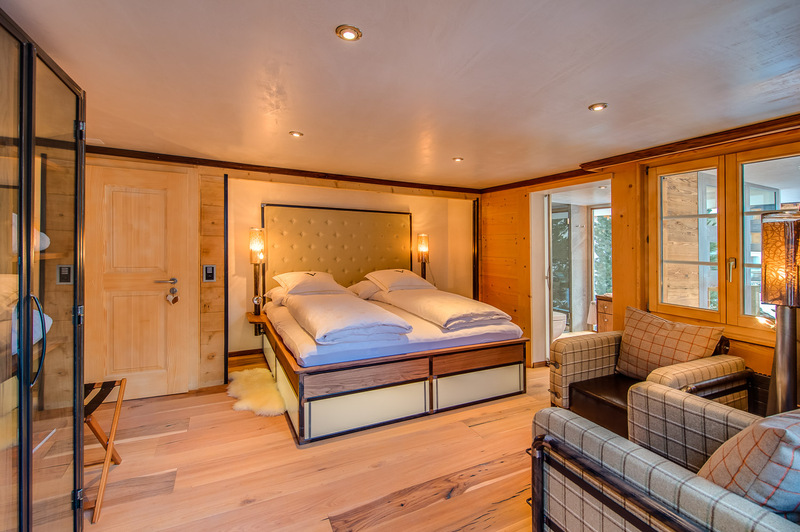 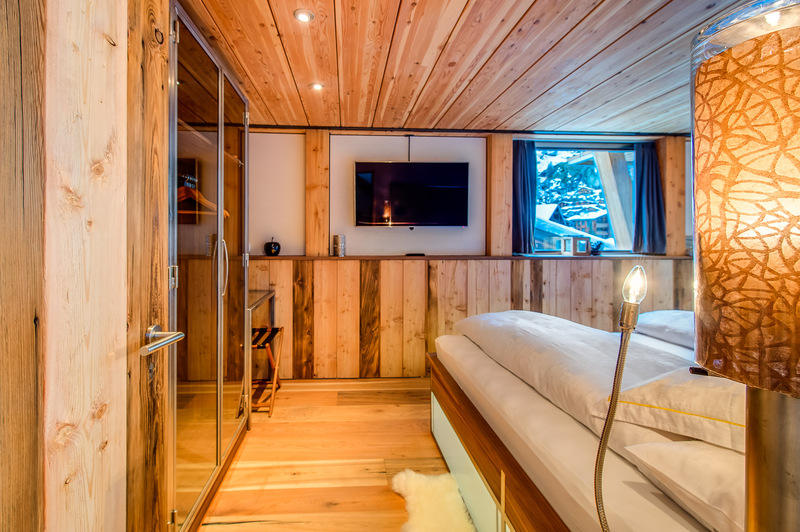 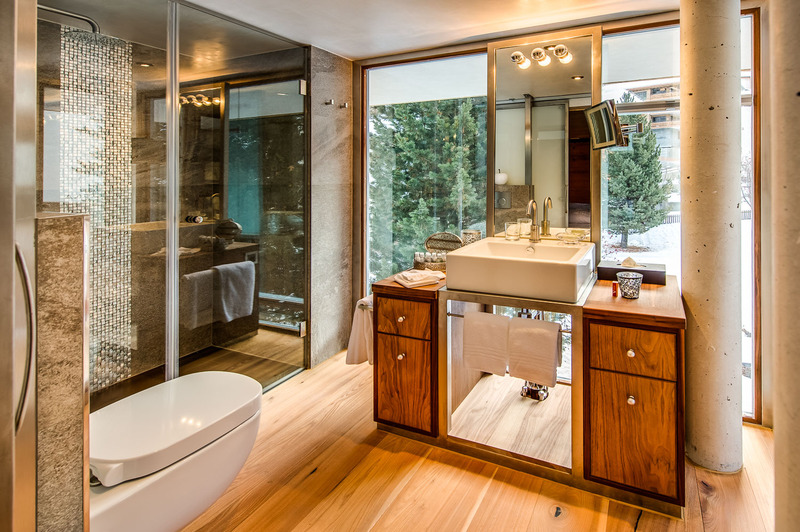 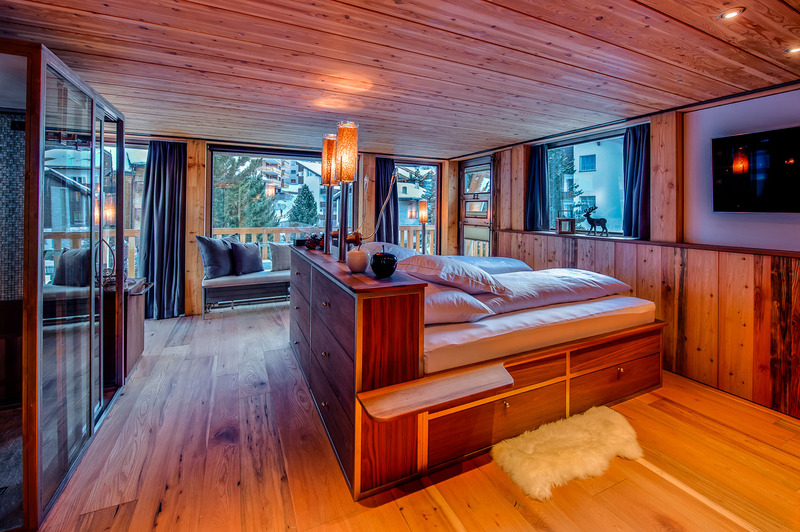 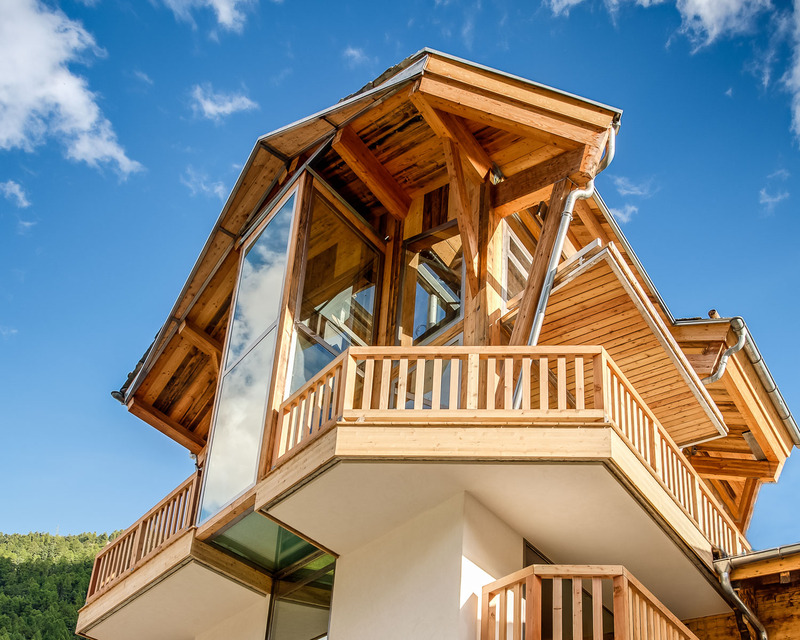 Each of the chalet’s five bedrooms has a king bed and en-suite bathroom, and opens to a balcony. 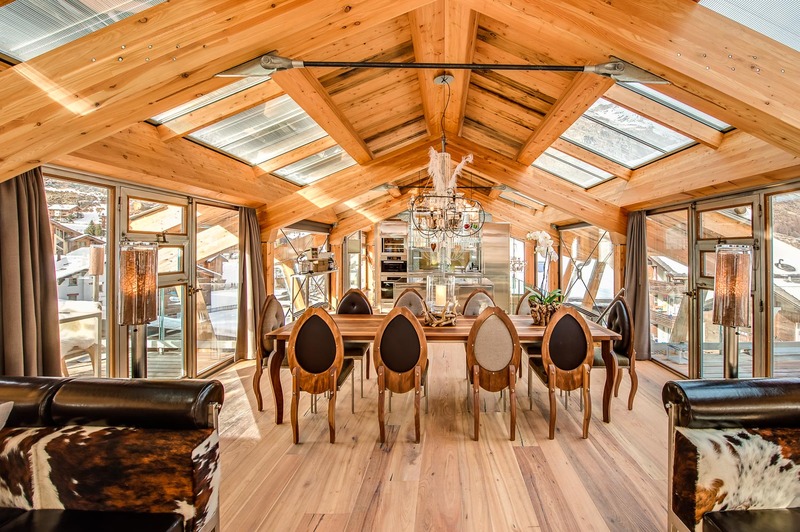 Details such as wood paneling and built-in window seats lend a cozy ambience, while large windows and glass cupboards add a more contemporary flair. 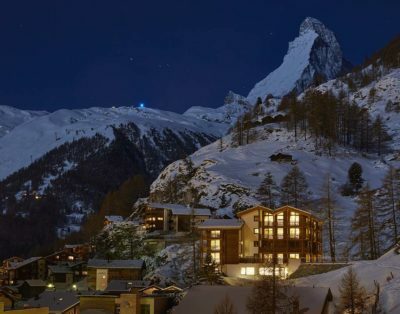 From the villa, it’s a 10-minute walk or less to shopping and dining around Zermatt’s central square, skiing access from Matterhorn Glacier Station, and the Backstage Hotel, where chalet guests can use the spa and wellness center. 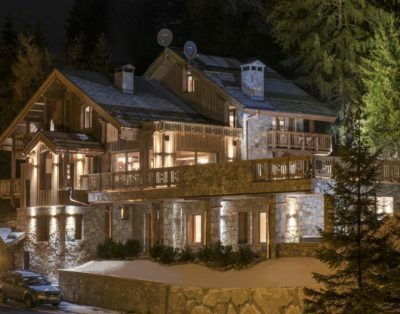 When you’re not tackling the moguls on the ski runs, it’s well worth a stroll through the resort town’s charming, pedestrian-friendly streets.